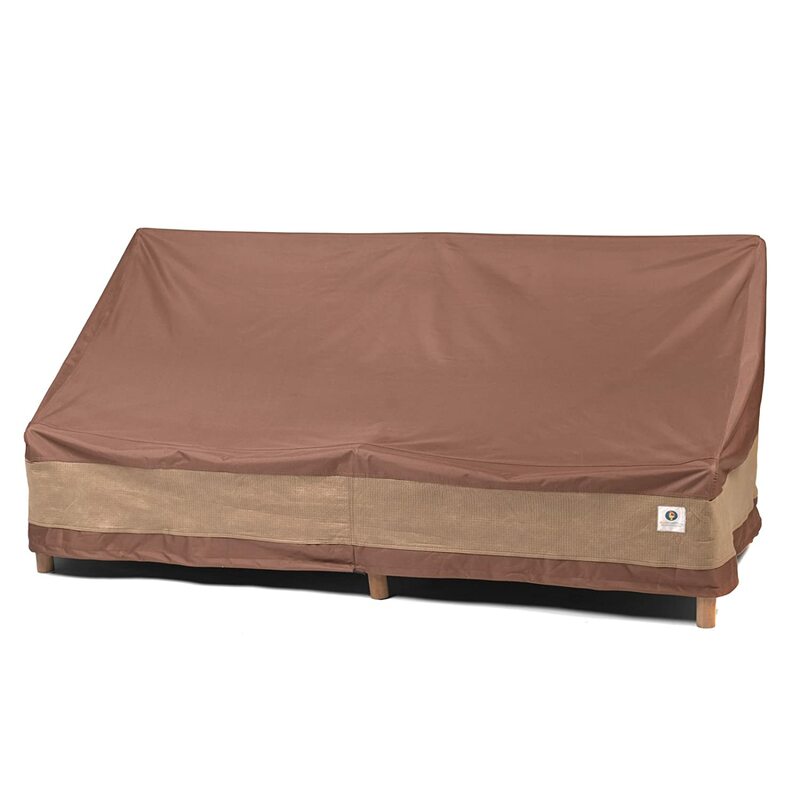 Waterproof outdoor patio furniture covers really help protect the chairs and tables you keep outdoors, and make them last longer. You’ll need to protect your chairs and tables from the elements. From the sun and rain, dust and dirt, and bird droppings. 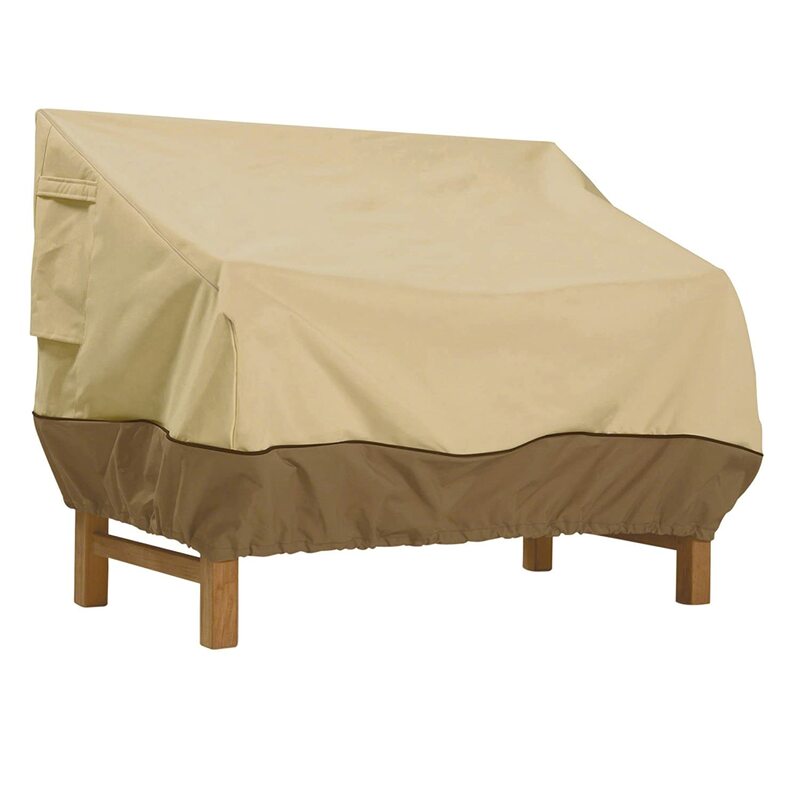 Covers also help protect against discoloration and general wear. 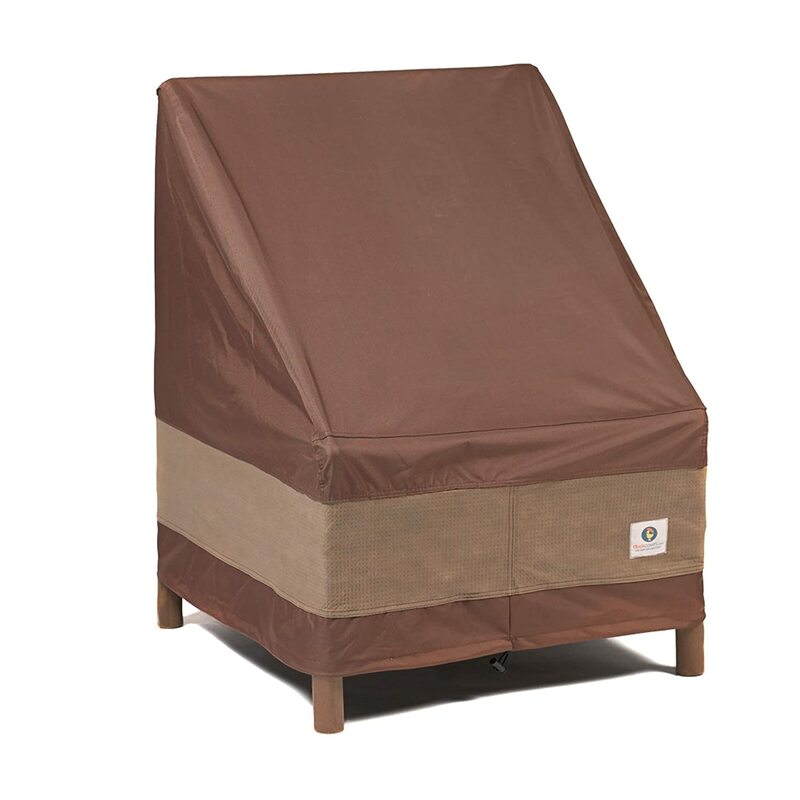 Ideally you want a waterproof fabric that can breathe, so there is no build up of condensation beneath the covers. And the seams need to be sealed against water. You’ll want a quick and easy fixing system so the covers can be secured fast and securely when the weather deteriorates. It's advisable to store patio cushions separately when not in use, and not keep them under these covers. Durable and strong 100% waterproof covers. Sealer tape on seams prevents ingress of water. Contoured fit for patio sofas. Designed for harsh weather and strong wind conditions. Material has added UV stability to reduce fading. Multi-layer breathable side panels - no need for vents. Secured with a mix of nylon straps & shock cords. 79W x 37D x 35H / 87W x 37D x 35H / 93W x 40D x 35H. Similar specification to the sofa cover shown above. Made with water-resistant Gardelle Fabric System. Interior bound seams and high density stitching. Elastic hem cord and toggle. Small size shown here, but medium & large sizes available. 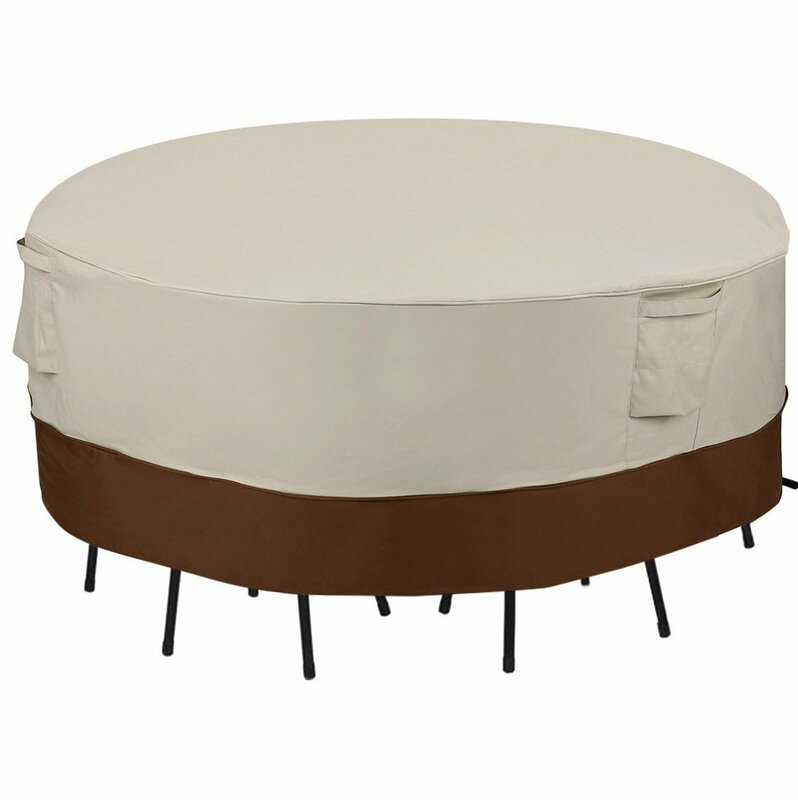 Premium quality cover designed to fit over a rectangular or oval table and six chairs. 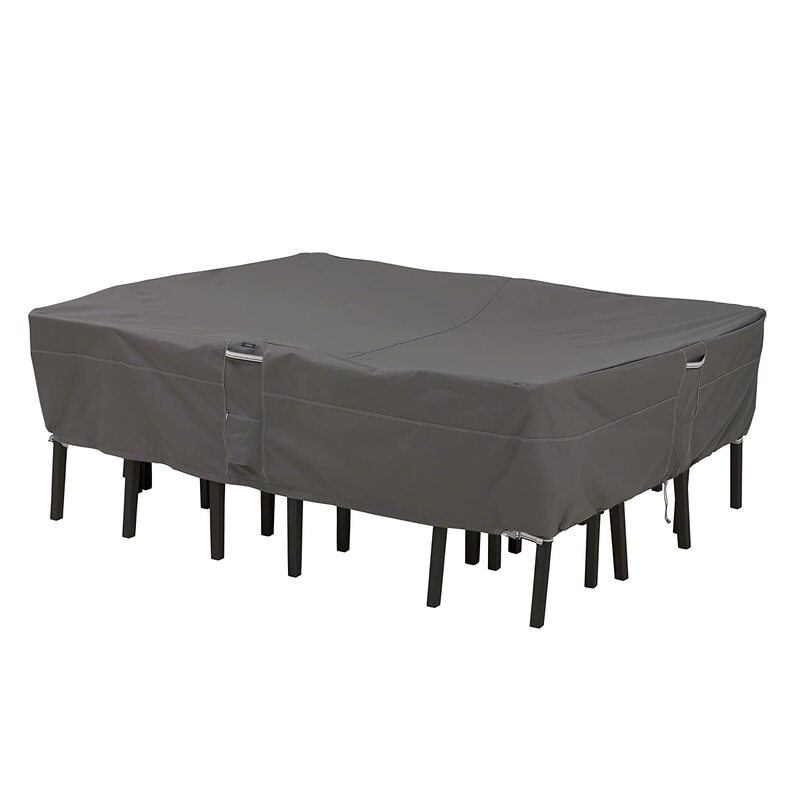 Water-resistant backing keeps patio table & chairs dry. Elastic hem cords & custom colored buckles attach to legs. Available in medium, large and extra-large sizes. Available in rectangular and round sizes. Made with heavy-duty 600D PVC. Fabric has quality PVC coating but is not UV proof. Elasticated drawstring and snap buckles secure in place. 4 air vents to prevent condensation, mildew & wind lifting. Guaranteed to fit rectangular or oval patio table and 6 chair sets - 108 inches Length x 82 inches Depth x 23 inches Height.